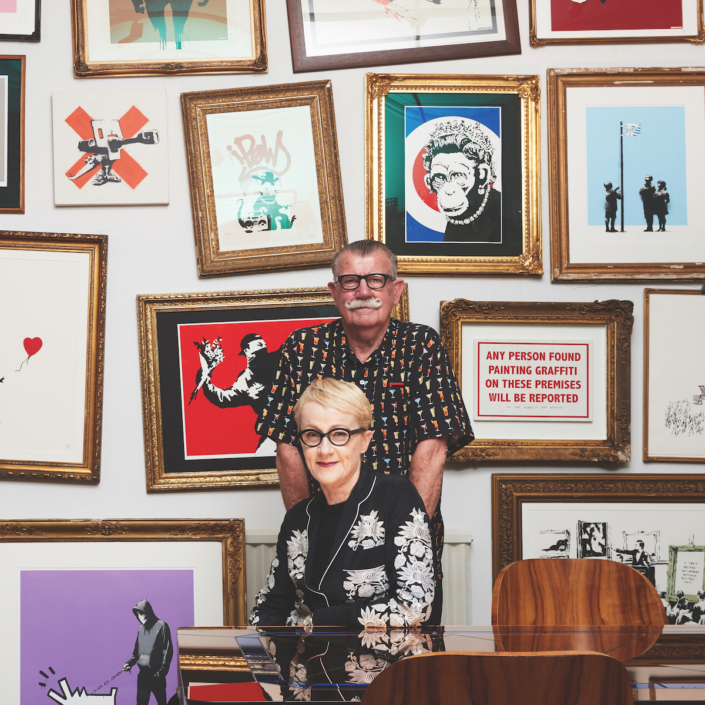 In 2014, Melbourne couple Andrew King and Sandra Powell sold their extensive collection of more than 90 Australian modernist paintings by the likes of Sidney Nolan, Albert Tucker, Brett Whiteley, Joy Hester and Clarice Beckett to focus on collecting contemporary street art. So enamoured are they by the Melbourne street art movement that they have even given their new artistic pursuits a novel name: the Sandrew collection. 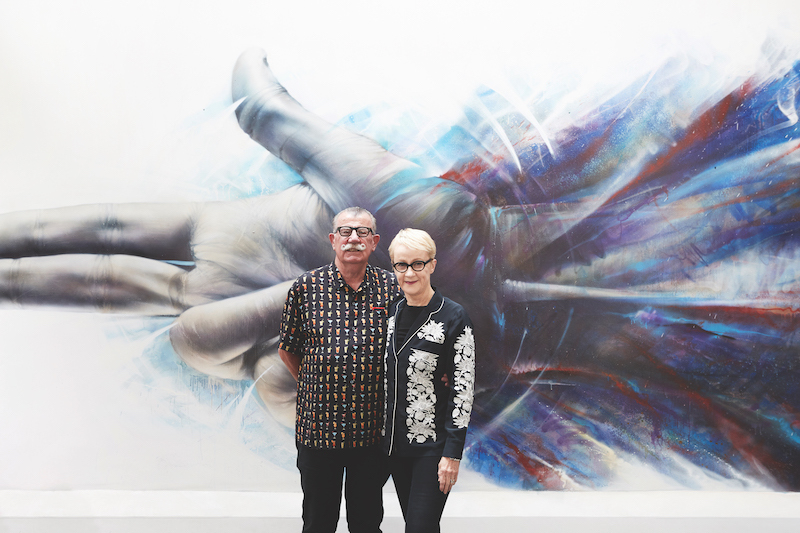 Over the past decade, the pair has devoted themselves to the patronage of this populist art movement, even curating national and international exhibitions. 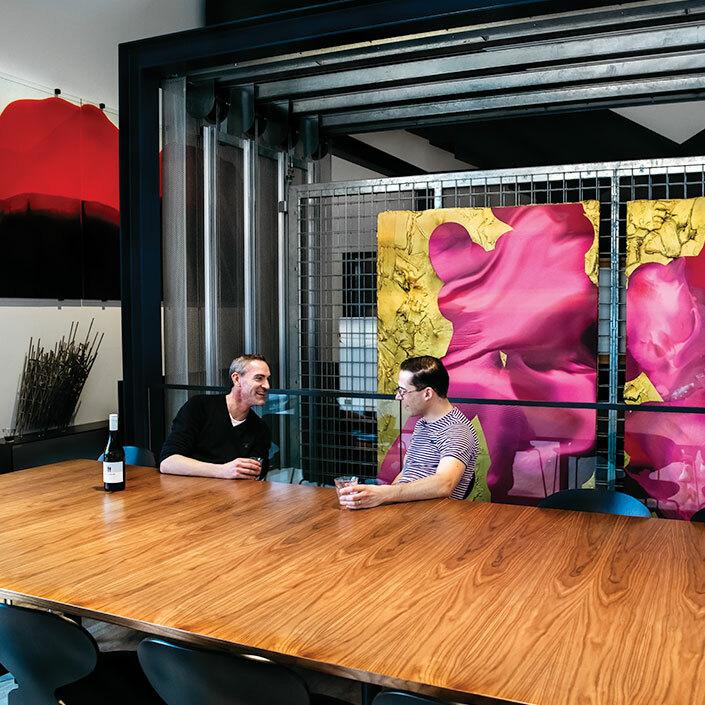 Their St Kilda home is already an advertisement of their ambitions; the sprawling historic villa features wall-to-wall murals by local players such as Adnate, Ian Strange and stencil artist Vexta. King and Powell’s enthusiasm for young Australian street artists such as Rone, Lush, Lister, Adnate, Reka and HA-HA is boundless and infectious. Not known in the mainstream art world, they are young heroes of the lively Melbourne street art scene. 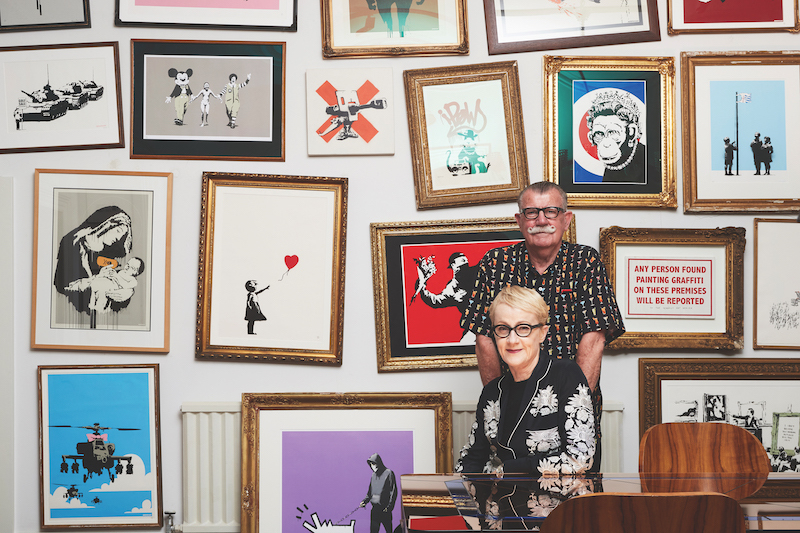 King and Powell now own more than 2,000 works from the early 2000s to the current day by important Australian and international street artists. 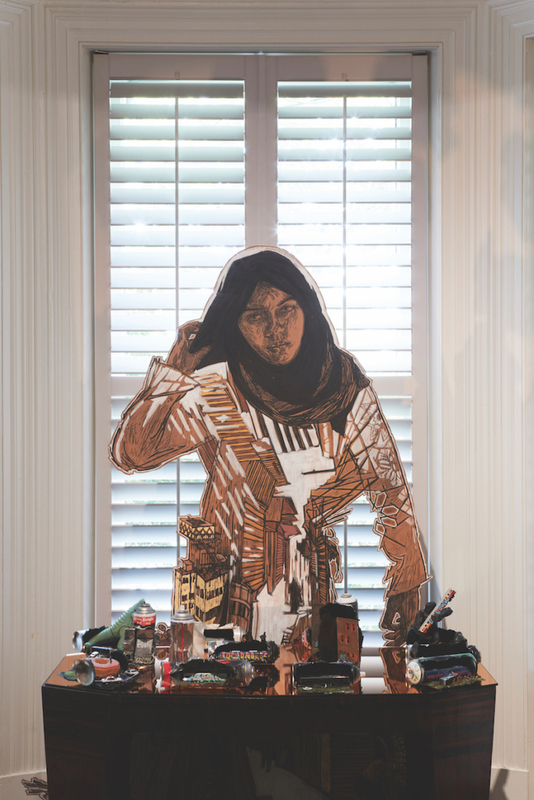 With some of their small pieces purchased for hundreds of dollars, large works can move into the tens of thousands. 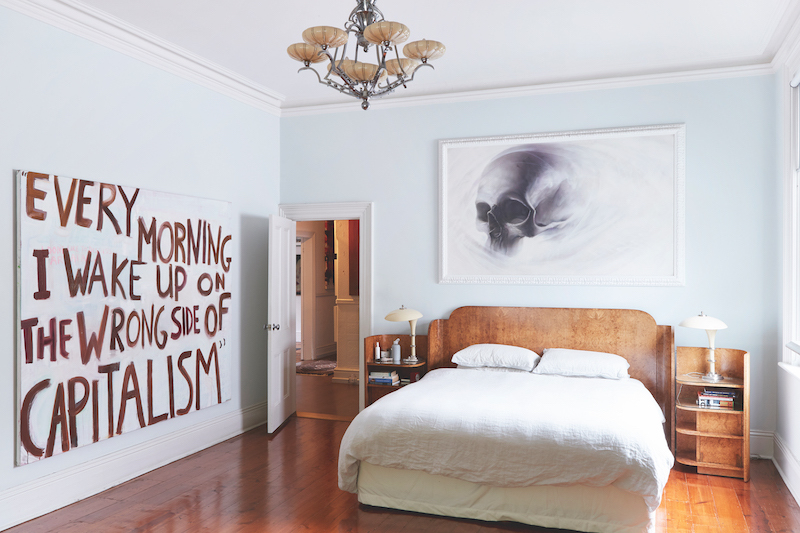 Among their remarkable collection are major works international art stars such as Banksy, Shepard Fairey, Barry McGee, Swoon and Ron English. According to the duo, they have shifted from being passive spectators of art to active participants of a burgeoning and vital art scene. 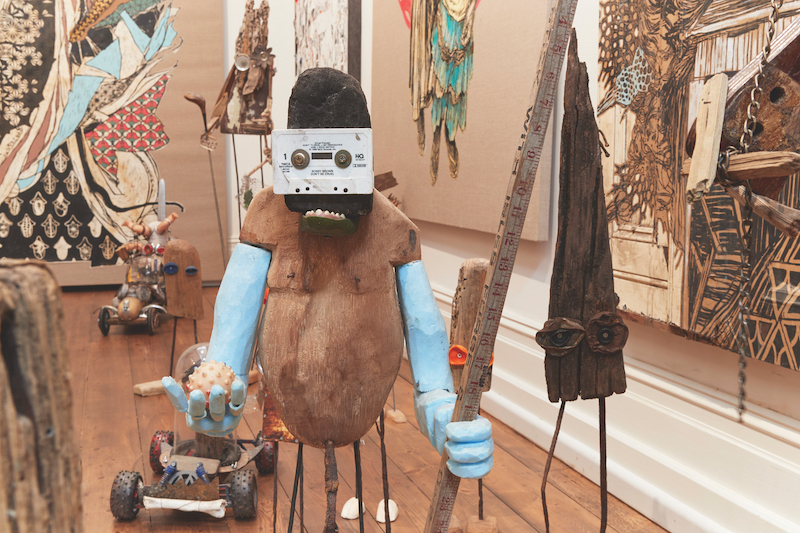 Their role goes beyond collecting, to facilitating and promoting artists – which can extend to entertaining, cooking for and housing young artists, many of whom have become good friends. While some artists might have initially been wary of the couple’s motives, there is now a great respect for their commitment. 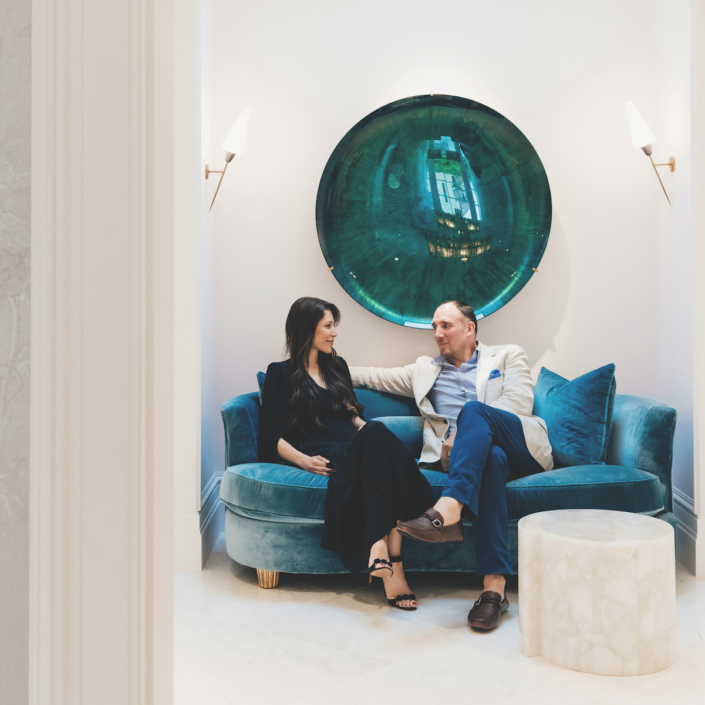 This article was originally published in Art Collector issue 87, JAN – MAR, 2019.